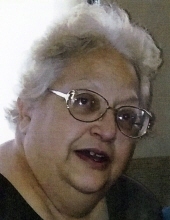 Cheryl Anne Coonce Gray, age 63, of Council Bluffs, passed away April 13, 2019 at her home. Cheryl was born December 28, 1955 in Junction City, Kansas to the late James F. and Gloria (Vetro) Coonce. She graduated from Lewis Central High School in 1973. Cheryl was the safety and health assistant for three government agencies: OSHA, Social Security and the Veterans Administration for 22 ½ years. She was a member of Queen of the Apostles Catholic Church. In addition to her parents, Cheryl was preceded in death by her nephew, Jonathan Coonce. Cheryl is survived by her son, David (Amanda) Gray of Omaha; grandsons, Donovan and Jeremy Gray; sisters, Linda (Mike) Laughlin of Imogene, Iowa, Mary Ann Keefe of Council Bluffs, Anne Coonce of Bellevue, Nebraska, Elizabeth Selman of Toledo, Ohio; brothers, Jim (Tammy) Coonce, Joe (Rhonda) Coonce all of Council Bluffs; nieces and nephews. To send flowers or a remembrance gift to the family of Cheryl Anne Coonce Gray, please visit our Tribute Store. A lunch at Queen of the Apostles Parish Hall following burial. "Email Address" would like to share the life celebration of Cheryl Anne Coonce Gray. Click on the "link" to go to share a favorite memory or leave a condolence message for the family.